With Spain facing a nearly 24-percent unemployment rate and forced to pay even for laughter, the nation may have found a temporary solution to its financial woes in Game Of Thrones. 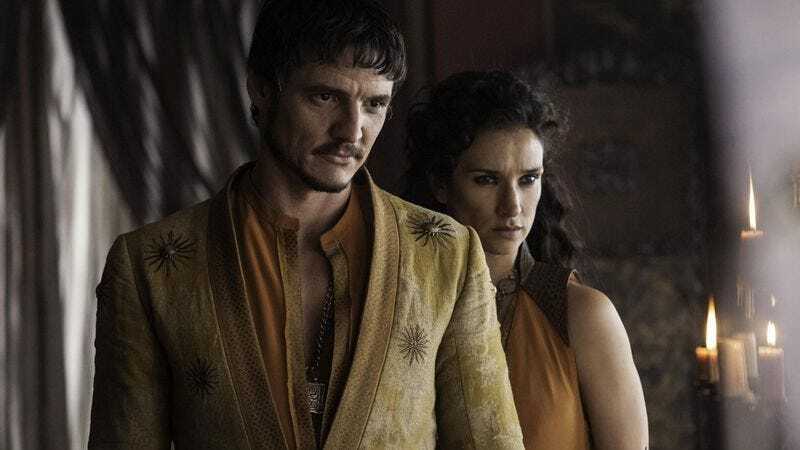 The HBO series is currently filming its fifth season there, with Spain standing in for the kingdom of Dorne, and Seville’s Alcazar palace serving as the home of House Martell. And while the Seville populace reacted positively toward being portrayed as lavish, lusty swashbucklers with slightly different clothes, that was nothing compared to the response to the call for extras in Osuna. According to Entertainment Weekly, a post seeking around 600 people received some 86,000 applications, crashing the local production company’s servers. For reference, that’s approximately four times the population of Osuna itself, and at least 1,000 more characters than are on Game Of Thrones right now. As EW reports, many of these applicants—who were all vying to be part of a large-scale battle scene—really just needed the work. But many others were there out of pure fandom, including one guy who “told the production he took a vacation from his high-level banking job to be on the show.” Presumably the show will make good use of his subsequently being torn apart by everyone else in line. While obviously the production couldn’t accommodate everyone who applied, Game Of Thrones is already boosting tourism to the region and is “expected to generate millions” for recession-plagued Spain, much as it has for Northern Ireland. The news is also expected to put increased pressure on George R.R. Martin to start figuring out some other cash-strapped places that could maybe be a part of Westeros, as the world’s economic stability now rests entirely on him.